New advances are taking automation to the highest end of human endeavors, offering scientists a shot at some of the most intractable problems that have confounded them — and along the way tipping a global balance to give upstarts like China a more level playing field in the lab. 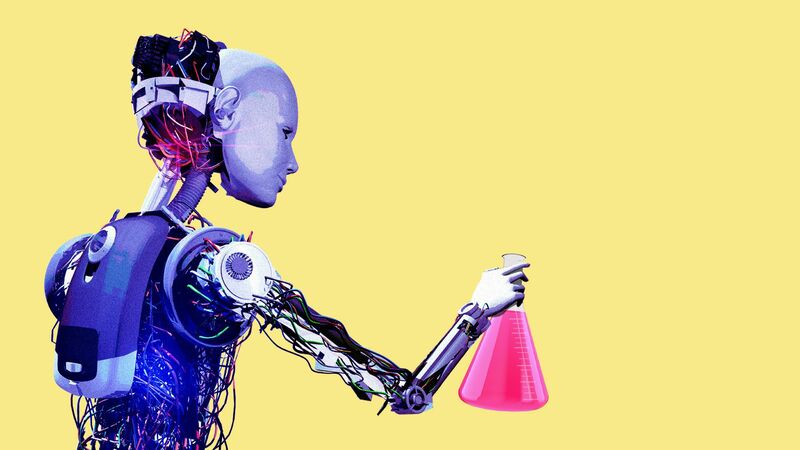 What’s happening: A combination of artificial intelligence and nimble robots are allowing scientists to do more, and be faster, than they ever could with mere human hands and brains, reports Axios' Kaveh Waddell. "We're in the middle of a paradigm shift, a time when the choice of experiments and the execution of experiments are not really things that people do," says Bob Murphy, the head of the computational biology department at Carnegie Mellon University. Automated science is "moving the role of the scientist higher and higher up the food chain," says Murphy. Researchers are focusing their efforts on big-picture problem-solving rather than on the nitty-gritty of running experiments. He says it will also allow scientists to take on more problems at once — and solve big, lingering ones that are too complex to tackle right now. Details: Experimental science is expensive. In biology, for example, pricey equipment and labor mean that scientists can’t do all the experiments they would like. Instead, they prioritize the ones they think will give them the most information about the questions they are after. Humans are bad at choosing the best set of experiments to run. AI can create much better plans, allowing scientists to understand a problem in a fraction of the time and at much lower cost. Pharmaceutical companies are using AI to extract information from academic papers and other written materials, which can surface new hypotheses to test. Automating science makes it easier to do big experiments, allowing more people to participate — and potentially boosting the scientific output of countries that have traditionally trailed the U.S.
A country racing to catch up in a scientific field needs three things, says Ahmed Alkhateeb, a Harvard molecular biologist who studies scientific automation: the latest experimental technology; an understanding of where the field stands, which allows scientists to ask the right questions; and capital and resources. Automation, he says, helps bring all three within reach. This trend could move the nexus of experimental science away from the U.S. Automation could help to accelerate China’s scientific rise and close the already shrinking gap separating it from the U.S.
Algorithms that outline the next logical steps in a research strategy would be especially useful in China’s risk-averse research environment, says Denis Simon, an expert on Chinese innovation at Duke University, allowing Chinese scientists to take on new, pioneering research. It’s not clear what this democratization will look like. Alkhateeb says it could allow "educated nonscientists … to test their hypotheses and contribute to the debate." But Gadi Singer, Intel’s vice president of AI products, disagrees. Automation might change the skills required in a good scientist, but it won’t lower the bar, he says. Scientists will still need to supply the human insight needed to steer the automated ship in the best direction and take on the right questions. What’s next: Biology is at the center of automation, but it can potentially be applied to any experiment-driven science, like chemical engineering, material science and experimental physics. American companies are being wooed by Alibaba, the Chinese e-commerce giant, in a way they never have been by Amazon. Driving the news: Alibaba is opening up its data to the companies to help them shape their products to suit Chinese tastes, Axios' Erica Pandey writes. Alibaba offers its data to big-name brands like Unilever, L’Oréal, Mars and Samsung, which sell on its Tmall app. Now, it's also partnering with data-crunching companies in an effort to sharpen the outcomes further. An Alibaba spokesman says the Chinese giant will work with massive market research firms like Nielsen, Kantar and Euromonitor International to give companies deeper analyses of how to please Chinese consumers. One success story: Alibaba showed Mars data that revealed Chinese snackers’ preference for a classic Sichuan spicy flavor called 麻辣 (mala). Mars responded with a now wildly popular spicy Snickers bar for the Chinese market. The key difference between Amazon and Alibaba: Amazon is itself a retailer, thus competing with brands with its own private labels. Alibaba is only a platform, with no dog in the fight for customers. "Amazon lets third-party sellers know the shipping address of orders, because it's needed by the sellers. All other customer data (browsing history, purchase history) is never shared," says James Thomson, a former Amazon executive who now consults for Amazon sellers. Bina48, the first-ever robot to complete a college course, finished another mission today: It became the first robot to co-teach a university-level class. Why it matters: The experiment at the U.S. Military Academy at West Point sought to determine if AI can "support a liberal education model," says William Barry, a West Point professor who has been using Bina48 to teach for years. What’s happening: Bina48 co-taught two sessions of an introduction to ethics philosophy course — which covers ethical reasoning, just-war theory and the use of artificial intelligence in society, writes Axios' Khorri Atkinson. In the classroom were almost 100 students, along with Barry and Maj. Scott Parsons, an assistant professor at West Point. The objective was to understand whether AI “can authentically support teaching in the classroom, where it enhances students’ comprehension and holds interest," Barry says. How it works: Bina48 is fed a mosaic of general knowledge, in the form of what Barry calls "mind files." In preparation for today, AI developers fed Bina48 troves of data about war theory and political philosophy, in addition to Barry's lesson plan. “We asked not to hook her on the internet ... because she can easily run to Wikipedia or the Stanford Encyclopedia of Philosophy. We want to run her just on the algorithm,” Barry says. When it's Bina48's turn to teach, it peruses its background knowledge and lesson plan and delivers a lecture. And if a student asks a question, the bot can reply out loud. But the bot may not be best suited for West Point, the cadets concluded, since it didn’t quite keep pace with the class. It might make a greater impact in countries with low literacy rates, he says. Flashback: This is not Bina48's first interaction with West Point students. Last year, it participated in a debate about the use of nonlethal weapons in warfare. Editor’s note: This post has been corrected to show that William Barry is a professor at West Point, not at Notre Dame de Namur University. It also corrects the name of Barry’s co-teacher, Maj. Scott Parsons, who was incorrectly named as Bill Parsons. With the news that Sears filed for bankruptcy yesterday, we chronicled how the once-iconic department store has been misunderstanding its shoppers for decades. But early in Sears' long reign, it was a revolutionary force in the U.S., as it subverted Jim Crow-era practices that blocked black Americans from shopping freely and charged them usurious prices, Erica writes. In the late 1800s, the rise of Big Retail was empowering for black consumers, says Louis Hyman, a historian of capitalism at Cornell University and author of "Temp." As Sears and Montgomery Ward pioneered mail-order retail through catalogs, black shoppers at once had another source of goods besides predatory country and company stores. "Equal access for consumption was a long fight for African-Americans," Hyman, who posted a tweetstorm yesterday on Sears and civil rights, tells Axios. Before mail-order houses, black sharecroppers and tenant farmers had no choice but to shop at local stores where they'd be served only after white customers and charged higher prices for the same goods. In many cases, the storeowners would flatly refuse to sell black shoppers certain items, Hyman says. With the introduction of retail catalogs, black consumers in the South were able pay cheap, national prices. This created an enormous backlash, with country store owners rioting and burning catalogs in bonfires. "It didn't really matter what their personal beliefs were," says Hyman. Richard Warren Sears and Aaron Montgomery Ward inadvertently kick-started a revolution that lifted up black, immigrant, poor and illiterate consumers around America.